Win een overnachting in een paalwoning! 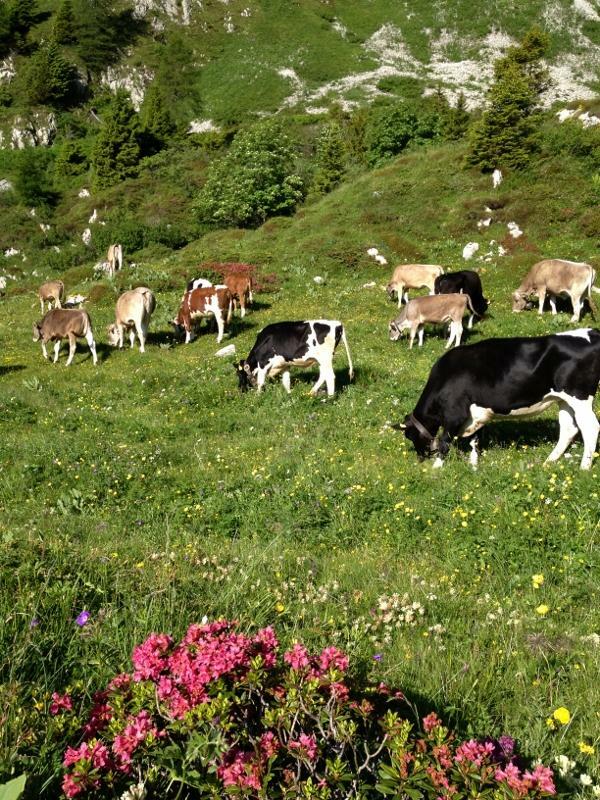 In Valle di Ledro there are several alpine dairyes, which host during the summer time cows and goats, that can freely graze in the alpine pastures covered by flowers. In some of the dairyes of Valle di Ledro you can watch every day of the shepherds while doing the chhese with fresh milk. How to get there: to go to Malga Bezzecca in Tremalzo you have to follow the street near Lake d’Ampola, you can go up by car but the lasts few meters you have to walk, along a dirt road. 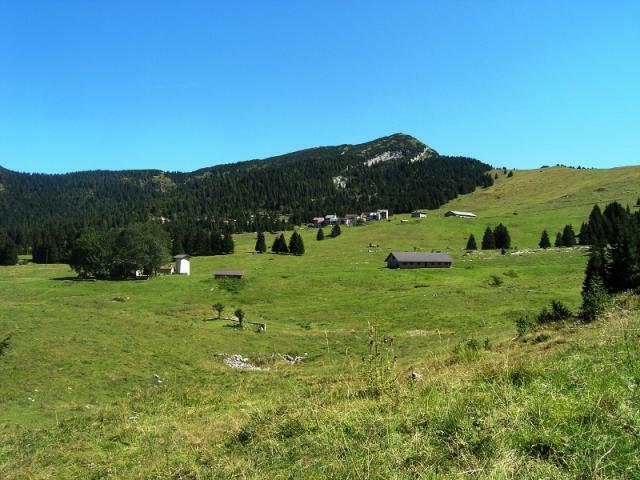 Management: Malga Bezzecca in Tremalzo is managed by Azienda Agricola Batistì, that every summer guides up its cows. 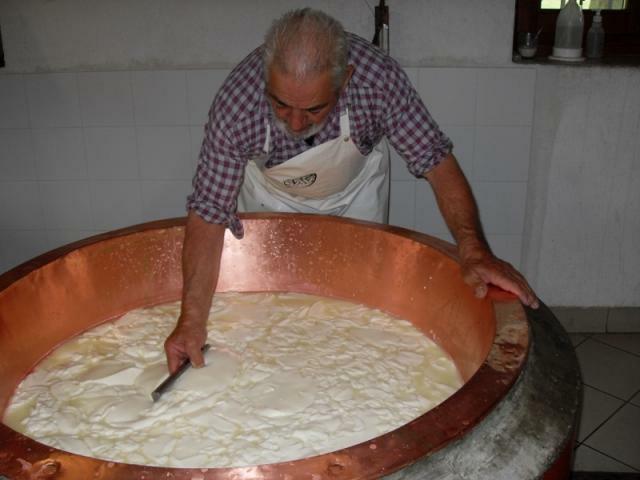 Every morning Marco with his grandfather Mario turn milk into different types of cheese, that are sold only in the Alpine hut. How to get there: to go to Malga Tiarno di Sopra in Tremalzo you have to follow the street near Lake d’Ampola. Malga Tiarno di Sopra is situated just above Malga Bezzecca. 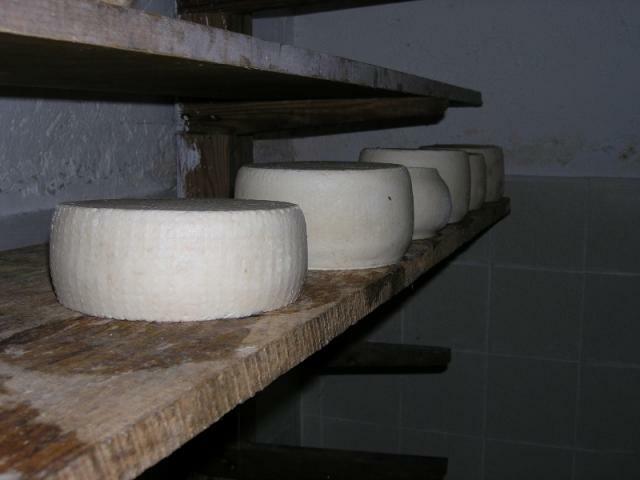 Management: during summer Malga Tiarno di Sopra has about sixty cows, which milk is taken down to the valley’s factory and turned into cheese. How to get there: You can reach Malga Giù from Malga Cita through the path CAI-SAT nr. 419, from Tremalzo going through the path CAI-SAT nr. 416 or from the one in Pieve and goes to the path CAI-SAT nr. 456 that takes you to San Martino. Management: Malga Giù is managed by Azienda Agricola Zendri, that guides its cows not only there but also to La Pertica and to Malga Tremalzo of Molina. 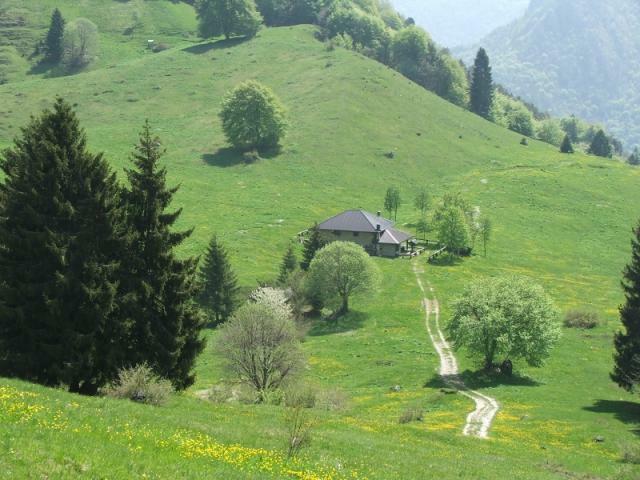 How to get there: to reach Malga Stigolo where you can go through the path CAI-SAT nr. 458. The Alpine hut is situated on the Mountain Bike course D and from here it starts the downhill course DA. Management: Alfio and Francesca manage this small paradise during the summer, taking care of their cows and goats. If you go up there, they will offer you a coffee and you will admire the breathtaking view on the lake. How to get there: You can go to Malga Cap, driving from Tiarno di Sotto to outlet of Giumella, but the last 500 m you have to walk. Malga Cap is situated also on the course of mountain bike. Management: Malga Cap is managed by Oreste Leonardi who brings up there his cows. If you want to stay there during the night you have to book in advance. How to get there: you can reach Malga Cadria from many points, the most common is the one that goes up to ex-centrale in Val Concei though the path CAI-SAT nr. 423, or you can reach Cadria also from the outlet of Giumella, that is situated above Tiarno di Sotto, and is the path nr. 450, which has only 500 m of altitude gap. Management: on the top you can find the Azienda Agricola Oradini Cristian, that from the start of July to the end of August stays there with about eighty cows. 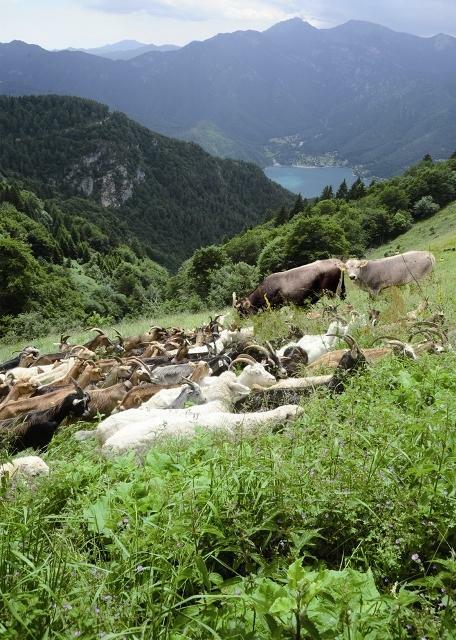 The cows stay in Malga Vies, situated at 1550 m under the outlet of Cadria, before and then they graze in Malga Cadria. How to get there: you can reach Malga Guì going though the path CAI-SAT nr.414, which starts from Rifugio al Faggio, but also by going along the excursion path nr. 452 called “Giro delle Baite”, that runs through the Val Concei. Management: Giuliano manages Malga Guì and there guides from the plain of Brescia his eighty goats. The goat cheese is very appreciated and you can find it only in Malga Guì. 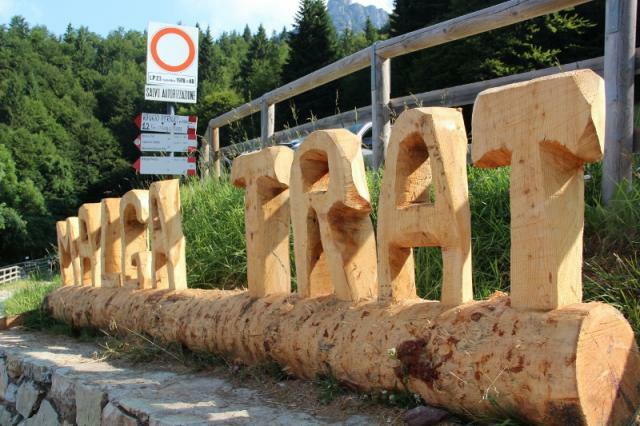 How to get there: you can reach Malga Trat through the street or even through the path CAI SAT nr. 403. This place is crossed by the MTB BA course and the main circle of Mountain & Garda Bike. Management: Malga Trat is managed by Agenzia Agricola La Genziana, which takes up their cows and goats from June to September. Stefania and Matteo show and explain how to make their cheese in a handcrafted way. They are waiting for you. There, you can also buy their home-made product like Marmalade, syrup and vegetables pickled in oil and of course their cheese. 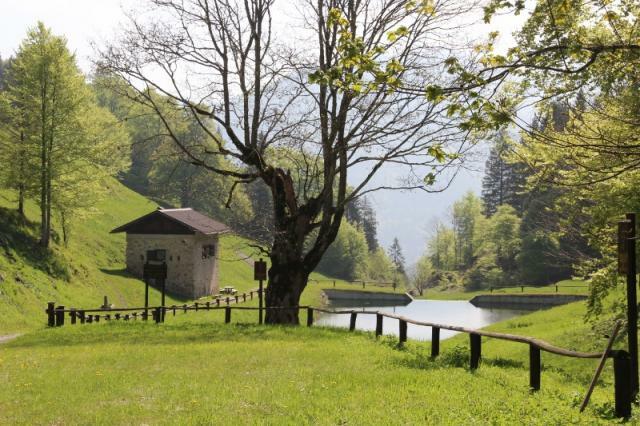 How to get there: you can reach Malga Saval on foot from Pieve di Ledro going to the path CAI-SAT 454 or from Malga Trat along the path called “Senter de le Vache” or from Rifugio Pernici going through the path nr. 413. The first way is the most difficult because of the 1000 m of altitude gap, besides the others paths have more or less 200 m.
Management: up there during the summer there are goats, but you can also find horses and cows. Every mornings the shepherd milks the goats, and then he prepares a greedy goat cheese that the guests can taste and buy only there. 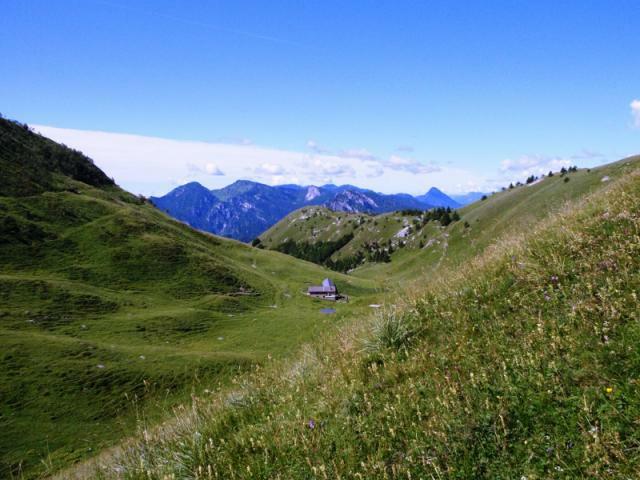 How to get there: you can reach Malga Dromaè, on foot by going to Mezzolago and taking the path CAI-SAT nr. 453 or the botanical path or also the forest street. 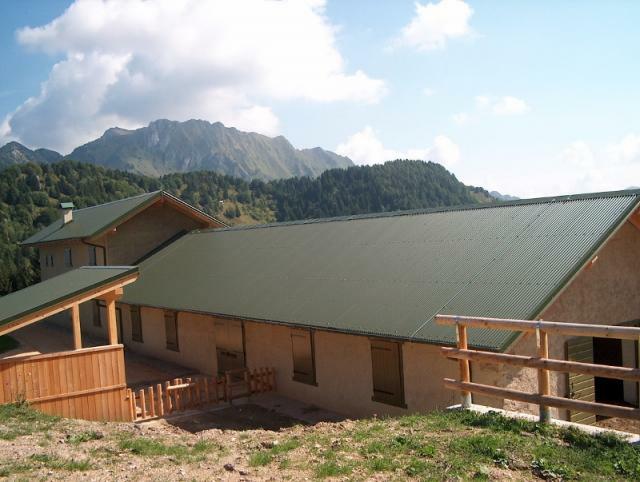 Management: Malga Dromaè is situated above Casinei, it is managed by Azienda Agricola Mora Giuliano, who takes up during the summer goats and cows to graze. Sell of cow-cheese, goat-cheese, butter and ricotta, yogurt and ice-cream, wine, honey, jam and olive oil.The Farm Mora Giuliano has the certification CE . JIJ BENT DE PERSOON DIE WIJ ZOEKEN! Wat dacht je ervan om duizenden jaren terug in de tijd te gaan en dat alles te beleven in het nieuwe millennium. Een uniek en alternatief verblijf. Een overnachting in een prehistorische paalwoning! De actie loopt gedurende de volgende periode: van 1. februari tot 15 juni 2019. Bekendmaking van de winnaar uiterlijk op 15 juli 2019. d)	De totale prijzenpot heeft een tegenwaarde van € 800, inclusief BTW.